Ask anyone on the street and they’ll probably recognize the name of the theme park associated with the legendary Dolly Parton. Dollywood is one of the most exciting and appealing theme parks in the world due in large part to its family-friendly appeal. You don’t have to be a coaster fanatic to get your money’s worth here. With its many theater shows, craftspeople, shops and fantastic Southern dishes, Dollywood should be on your list of top Pigeon Forge attractions to visit. 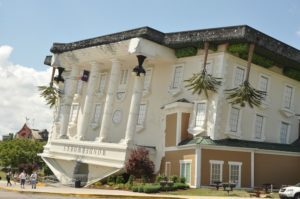 One of the most unique of all the Pigeon Forge attractions is evident the moment you drive past the upside-down house. But you won’t want to just drive past this one — WonderWorks will let your imagination soar with its many hands-on activities and games. You don’t have to love science to appreciate the the wide range of family-friendly exhibits inside. Be prepared to learn and have fun doing it! Many of these Pigeon Forge attractions have a distinguishing feature, and The Old Mill is no different. The giant water wheel is one of the most photographed items in Pigeon Forge, but that’s not all that’s family friendly about this historic place. 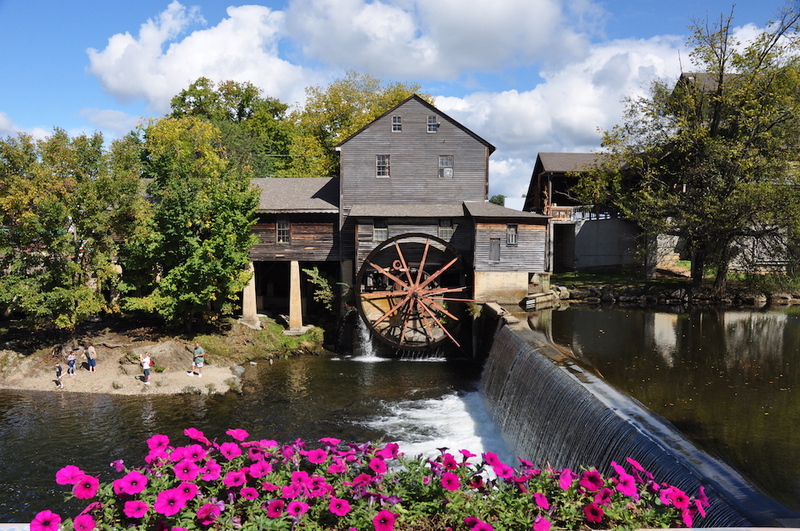 The Old Mill Square has Patriot Park — which holds many events during the year — candy shops for the sweet-toothed visitor, and two of the most delicious restaurants in Pigeon Forge: The Old Mill Restaurant and Pottery House Cafe and Grille. Make sure to visit the General Store to pick up items that are made on-site for that special souvenir. The Island features a little bit of everything for the family. The Great Smoky Mountain Wheel highlights this area of Pigeon Forge with its 200-foot-tall vantage point of the beautiful Smoky Mountains. You also won’t want to miss the many places for shopping, game-playing, dining and awe-inspiring displays that will keep you and your family occupied for a large portion of the day. This is the place for some high-quality musical entertainment, and Country Tonite Theatre should definitely be on your list of Pigeon Forge attractions to visit. With brand new shows every year, this theater has been voted “Best Show in the Smokies” many times from publications and fans who love to see the many talented performers on stage. It’s little wonder why they’ve entertained visitors for 21 years straight. This makes the list of Pigeon Forge attractions simply because it’s nice to take the break from the all the bustle and bask in the beauty of the Smoky Mountains. Wears Valley Road is at stoplight #3 in Pigeon Forge, and once you venture on this stretch of road, you are met with picturesque views, antique shops, excellent eateries and more. It’s a highly recommended escape for your vacation. 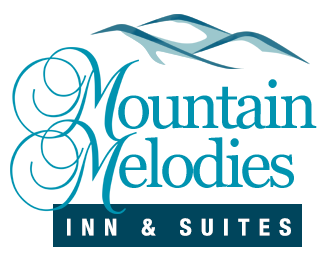 When you’re staying with us at Mountain Melodies, we hope you enjoy all of these Pigeon Forge attractions with your family. Get started on your vacation today by booking one of our hotel rooms so you can experience all the fun of Pigeon Forge!